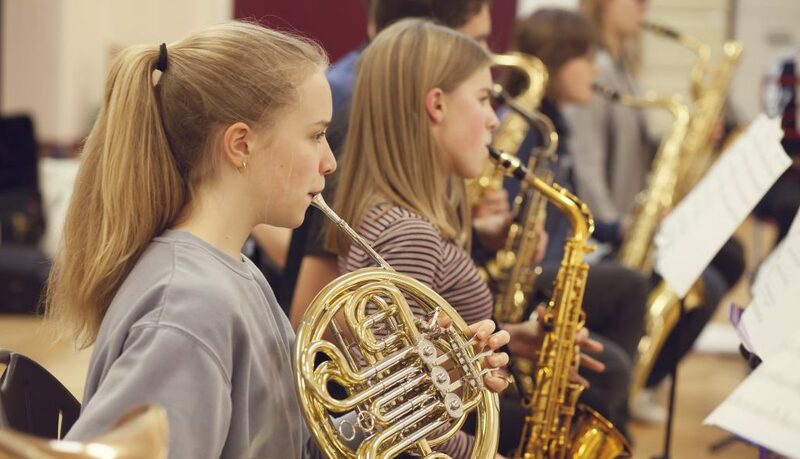 As a registered charity, Merton Music Foundation is able to benefit from Gift Aid on membership subscriptions for our Monday and Wednesday Merton Youth Music Ensembles and Saturday Music Centre. Gift Aid provides vital additional funds for charities and it costs you nothing extra to allow MMF to claim it. If you Gift Aid your payments, MMF can claim Gift Aid tax relief of 25p on every pound you give. We can claim on all eligible donations and membership subscriptions for activities that form part of our charity’s objectives. We cannot claim on the ‘tuition’ element of membership as this is regarded as a benefit under the Gift Aid rules. In order to access this additional source of funding we need a gift aid declaration from each parent who is prepared to support us in this way. The form only needs to be completed once and can be done by either using this form or completing the declaration on our donation and membership payment forms. If at any time you want to cancel this declaration, change your name or address, or no longer pay sufficient tax on your income and/or capital gains, please [notify us]. Further information on Gift Aid can be found at https://www.gov.uk/donating-to-charity/gift-aid.